Send this exclusive gift of Divine 10 Fresh Orchids in a Beautiful Bouquet to your dear one and express your love and affection. 10 Imported Orchids Bouquet with Cadburys Celebration pack. 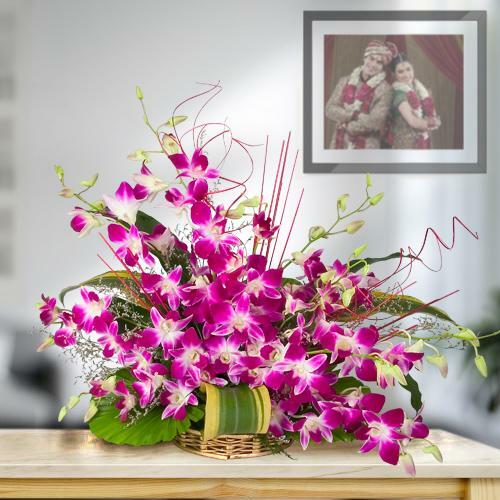 10 Imported Orchids Bouquet with 500grms Assorted Sweets. 10 Imported Orchids Bouquet with Balloons, Teddy. 10 Imported Orchids Bouquet with 16 pcs Ferrero Rocher chocolate box.